Let’s face it: your Dacor dishwasher is probably the most convenient appliance you have in your Dallas-Fort Worth home. Of course, anyone can wash dishes by hand, but who has time for that? When you start having problems with your dishwasher, don’t waste time trying to fix it yourself. Water and electricity don’t mix well for people who aren’t experienced with repairs, so your safest option is to contact your Dallas-Fort Worth Dacor dishwasher repair professionals. It’s easy to want to put off calling for dishwasher repair. It could be expensive and coordinating a repair service with your schedule may seem like a chore. When you call the Dacor dishwasher repair specialists at Appliance Champion, you can rest assured that you will be getting repair service that will protect your warranty, is fairly priced, and is promptly performed by a certified Dacor dishwasher repair professional. Instead of spending hours bent over the sink washing all your dishes, call Appliance Champion instead. Appliance Champion is experienced in repairing Dacor dishwashers, so there isn’t a problem we haven’t seen. Give us a call as soon as you notice yours is going out. Not only will we repair it for you, we will also give you tips on how to prevent further issues down the line. Appliance Champion is the Top Rated Local® appliance repair specialist for the Dallas-Fort Worth area serving Watauga, Keller, Southlake, Grapevine, Colleyville, Bedford, North Richland Hills, Arlington, and Saginaw. What sets us apart from our competitors is our offering of emergency service — someone is always on call to help you—and same day service, as well as our five-star performance that you can always count on. When you call us, you can always assume that you will get a repair service based on factory-certified knowledge, and the problem will be fixed with the correct part. 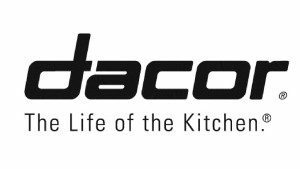 Due to our close relationship with manufacturers, we have access to Dacor parts so we can fix your appliance quickly and properly. Contact the Dacor dishwasher repair professionals at Appliance Champion today! Don’t see your area listed? Don’t fret! We may still be able to help you. Call us to find out if we offer Dacor dishwasher service to your area. If not, we may be able to refer you to a respected partner provider. However, in most cases, we will be able to help. Have questions about your appliance? Take a look at our frequently asked questions. Also, check out our blog! We are always offering practical tips and insteresting information there. For more specific questions, contact us!